The Motor Vehicle New Parts wholesaling industry in Australia is driven by demand in two key markets, the provision of new parts for the: 1) Manufacture of new motor vehicles; and 2) service of aftermarket parts. 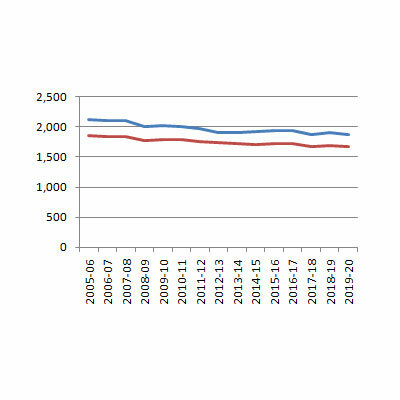 The demand for new parts in the manufacture of new vehicles has been in decline for a number of years as Australians have shown a preference for smaller, more fuel-efficient, imported vehicles. This will continue up until 2017 when the three remaining manufacturers in Australia, Toyota, Ford, and Holden, will cease their manufacturing operations in Australia. That decline in Industry growth would be much more pronounced if not for the strong performance in the provision of new parts for the aftermarket industry. In the aftermath of the Global Financial Crisis many Australians put off making significant purchases such as new cars and elected instead to look after the ones they had, which increased the demand for replacement parts. There will still be a need for the provision of new vehicle parts after car manufacturing in Australia ceases in 2017. Australians will always need replacement parts, but there will be an increasing reliance on parts from overseas. There will still be manufacturing in Australia to a number of niche clientele, but the demand will be greatly diminished. Smaller businesses will be forced to close or be taken over by larger companies as growth continues to decline over the next few years. Growth in the Commercial Vehicle industry was hit particularly hard by the Global Financial Crisis as businesses put off large purchases and financial institutions tightened lending regulations. But as the economy revived there was pent-up demand for such purchases and the industry experienced significant growth in 2009-10. This was followed by a period of slow growth as demand for commercial vehicles remained low until 2012-13. Growth in the commercial vehicle industry seems to ebb and flow, driven by a combination of demand, economic conditions and Government incentives. There appears to be an increase in sales recently with low interest rates and a tax incentive for purchases of vehicles under $20,000. However, many in the motor industry would like to see this threshold increased so businesses could purchase safer, more fuel-efficient, environmentally friendly vehicles. With plans to implement more stringent fuel emissions standards in the future, it is likely that businesses would be encouraged to purchase such vehicles in order to comply with Government standards, and also reduce costs on rising fuel prices and vehicle servicing. It is forecast that the Commercial Vehicle industry will experience slow growth for a number of years as businesses begin to comply with these changes. Gathering industry intelligence and undertaking high-quality analysis of the skills needs and proﬁle of the current and future workforce. Auto Skills Australia, the Automotive Industry’s Skills Council produces an Industry Environmental Scan annually as part of a broader role in gathering industry intelligence and undertaking high-quality analysis of the skills needs and proﬁle of the current and future workforce. A key finding of the 2015 Scan is that it is time for government and stakeholders to formulate a cohesive policy framework around the new identity of the automotive industry. This will require an understanding of the critical issues facing each sector as well as clearly deﬁned policy outcomes that are measurable and can be implemented. 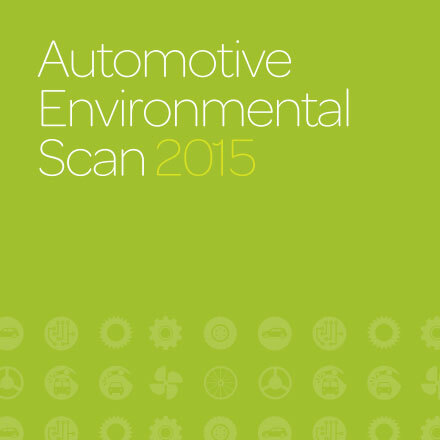 To read the 2015 ASA Automotive Environmental scan please download the PDF below. No State and Territory breakdown for the distribution of Motor Vehicle Wholesaling enterprises in Australia. Like most industries, Motor Vehicle Wholesaling revenue and employment growth suffered in the immediate aftermath of the global financial crisis, and is only now beginning to stabilise after a few bumpy years. It is expected, however, that as passenger motor vehicle production in Australia begins to wind-down towards 2017, that motor vehicle wholesalers and retailers will experience positive growth. The industry is somewhat stable for the moment but is often vulnerable to external factors such as droughts and other natural disasters. The Farm and Construction machinery wholesale industry in Australia is heavily influenced by both economic and climatic factors. Growth in the industry was in decline in 2005 in the midst of a severe drought that affected many parts of the country. 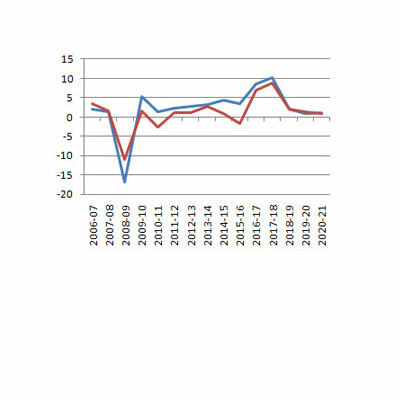 Growth then returned to positive as climatic conditions improved and farmers invested in equipment they had put off purchasing previously. This period of growth was then followed by the Global Financial Crisis that hit more or less the whole country, and it was only sales to the mining sector that kept revenue and employment growth in the positive.